Every course must meet a local or county labor market demand that is rated as a medium or higher demand. Every course must reflect a completion rate of 50 percent or higher. Every course must reflect a placement rate of 60 percent or higher. Data to compile the completion rate is gathered from the final attendance for the ROP course. A completer is a student who receives a passing grade (C- or higher) and demonstrates proficiency in 50 percent or more of the course competencies. 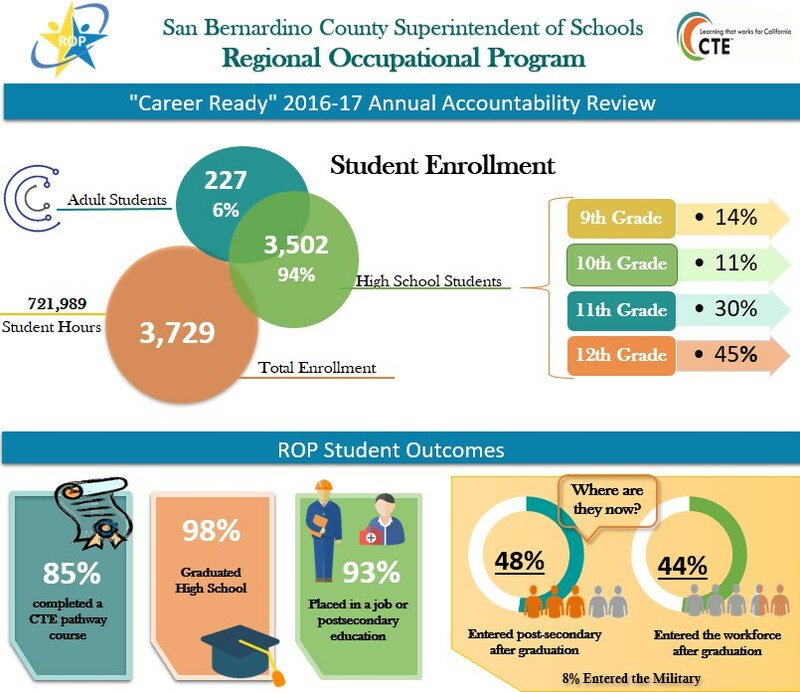 The completion and placement rates are reported to the California Department of Education 101-E report on an annual basis. A follow-up survey is conducted of all high school seniors and adult students who are completers and is conducted to determine placement of these students. In addition to reporting completion and placement rates, the course review process requires that we validate labor market demand. During the industry advisory committee meetings, the most current labor force and industry employment data is reviewed as well as information provided by each industry representative.